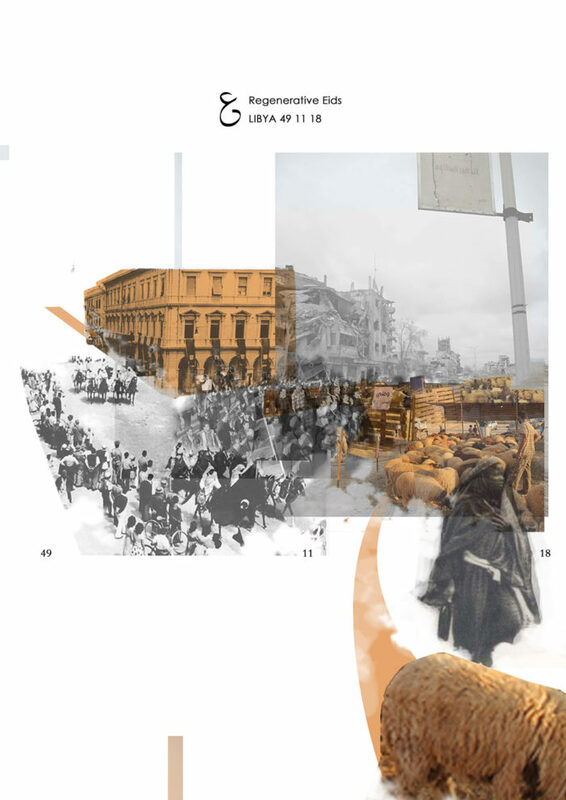 Sarri Elfaitouri’s work explores the intellectual and philosophical aspects of a given subject. It digs deep into the nature of art and questions it by dismantling the so called bigger coherent picture. Taking a careful look at the details is primordial in his work, for they could tell different stories, or sometimes show contradictions and errors, by juxtaposing , superimposing and displacing the elements. Therefore, collages represent for him one way to practice freedom in art , as no limits set by culture or art history could restrict his use of collages. The techniques that characterize his work are partly influenced by Sarri Elfaitouri’s childhood. As a kid he liked to de-construct non-working radios and many other machines to seek what’s within, and sometimes he re-constructs them when he figures out how he can do so. Sarri Elfaitouri started his earlier career by practicing street dance and had performed on stage several times in North Cyprus. Then he slowly gravitated towards visual arts and architecture, as he also developed an interest in studying philosophy and applying it to his artistic productions. 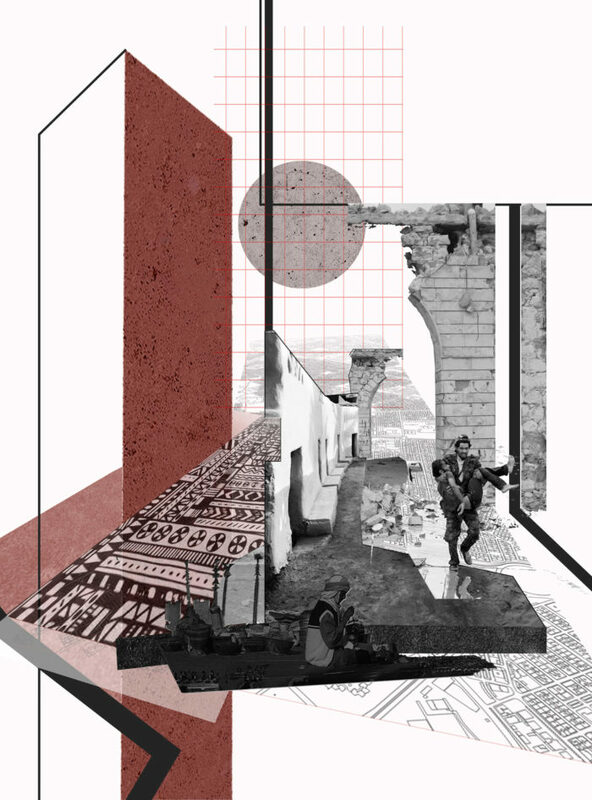 His first exhibition was held in Girne American University in 2017 showcasing his and his classmates’ architectural projects; then he participated in an exhibition conceived by WaraQ art foundation called Across Borders, n Vienna with a collection of artworks he titled: Architecturelessness series. 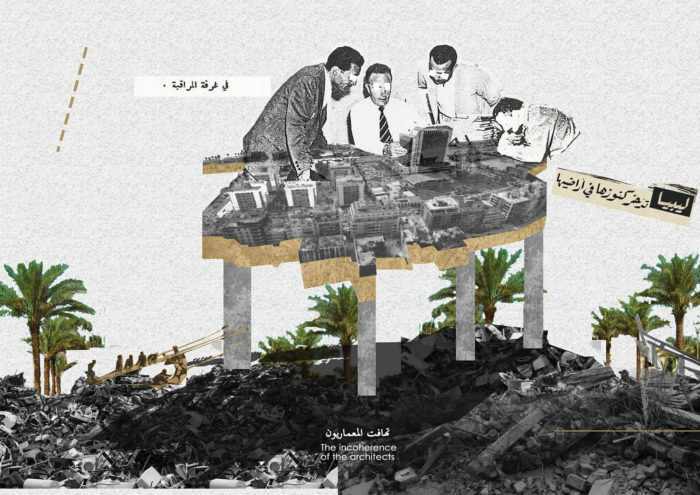 Sarri Elfaitouri, "The incoherence of the architects". 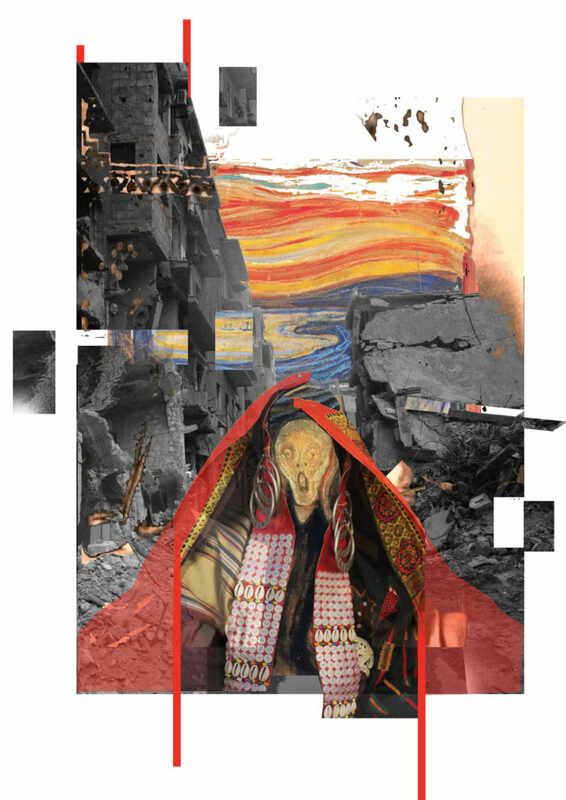 Sarri Elfaitouri, "A city's scream".